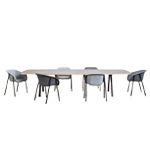 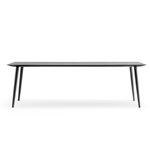 Adaptable, open and generous, the Cross table from Arper is equally suited for the boardrooms, residential spaces or for collaborative work environments. 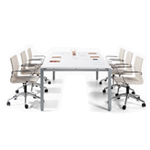 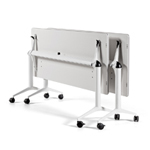 Thanks to optional configuration arrangements it can serve as a temporary meeting ground for group gatherings or a communal work station with room enough to share. 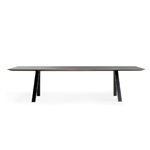 Cross has expanded its line to include wooden finishes in veneered natural oak and veneered wenge, two colors that add warmth and a natural feel to Cross’s superlative functionality. 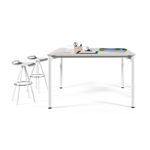 Finishes and accessories make Cross Table adaptable to any environment—for work, for home, for creativity. 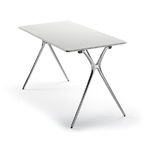 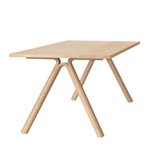 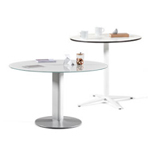 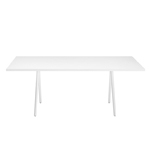 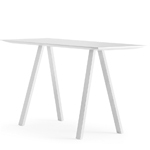 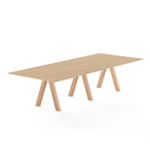 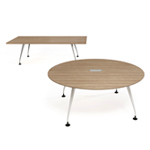 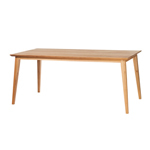 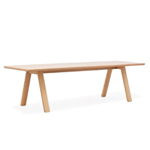 Table with lacquered sheet steel rectangular top and aluminum legs, or with natural or stained oak veneered rectangular top and legs in the same finishes.